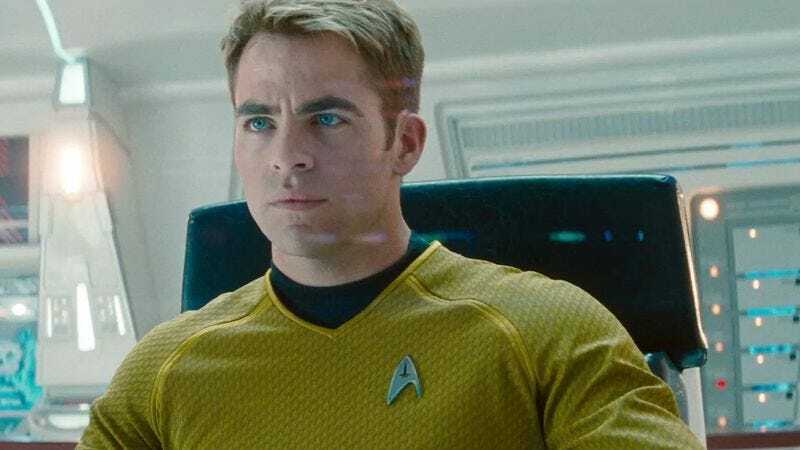 Having apparently looked in the mirror while filming Star Trek Into Darkness and thought, “Damn, I look pretty good in uniform,” Chris Pine is using his desire for clean costume lines to help pick his next projects. He’s already signed on to play a border patrol agent in The Line, and according to The Hollywood Reporter, Pine is also in talks to don a Coast Guard uniform in Disney’s upcoming period drama, The Finest Hours. The film will tell the true story of a 1952 ship crash that left two crews floating in the ocean in need of rescue. Director Craig Gillespie—who helmed the upcoming Disney sports film Million Dollar Arm, as well as the decidedly not-Disney indie Lars And The Real Girl—is in talks to direct. The script comes from The Fighter’s Paul Tamasy and Eric Johnson, which could indicate that the film will have a dash more realism than Disney’s usual uplifting fare. Even if these talks come to fruition, The Finest Hours won’t be released for quite a while. In the meantime, Pine can next be seen in Into The Woods where he’ll don the medieval uniform of a fairy-tale prince.